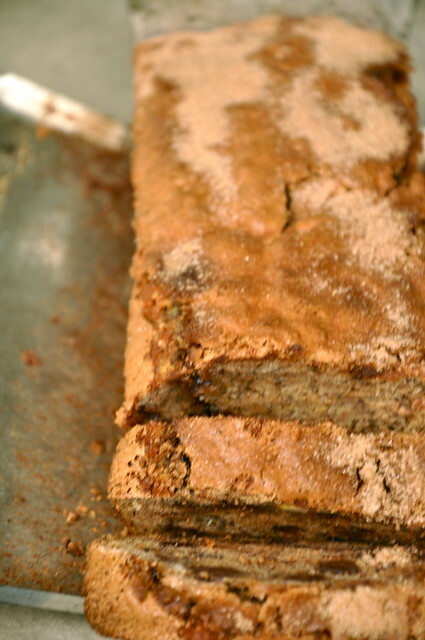 Banana bread seems to be sort of a thing. Do you know what I mean? 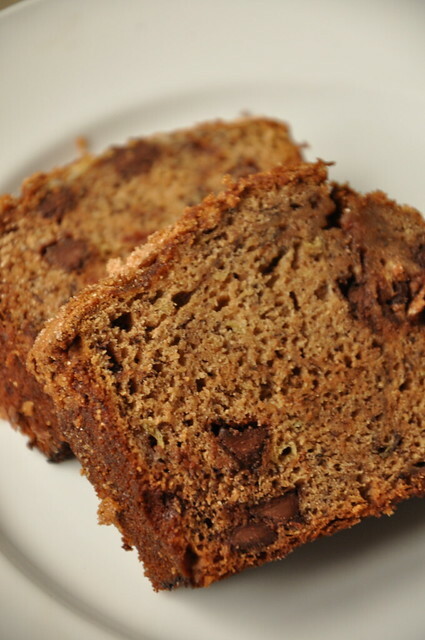 It seems like every self-respecting person, most particularly those who gravitate toward yoga, granola, and Lululemon, feel like there is nothing better than a great, hulking slice of banana bread. I think it's the fact that bananas feature in the title of this breakfast (or afternoon, or evening, or anytime really) snack that makes it so popular. That fruit quotient makes banana bread consumers feel just virtuous enough to justify an extra slice or two (shall we call them slivers?) down the gullet. To be perfectly honest, I never really got it. I felt that anything that included cooked bananas was, well, revolting. 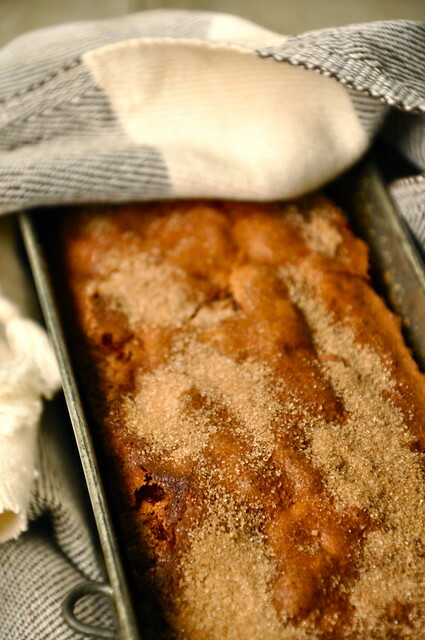 Throughout high school, so many of my friends brought in their moms' "famous banana bread." I was so thankful anytime a tin of it made its way through the doorway at Ashley Hall because I wasn't even remotely tempted. A tray of oatmeal cookies? A plate full of coffee cake? Forget it. I was a gonner. But banana bread? I turned my nose up every time. I thought everyone was crazy. Until a week ago. After one of my friends broke her thumb and had to have surgery in Scotland- God forbid- my flatmate, Arden whipped up a batch of banana bread as a little pick-me-up. She sweetly wrapped up half of the bread, and, quite devilishly, left the other half on the counter for Caitlin, Cokie, and I to devour. I circled around the bread. Paced back and forth in front of it, eyeing it. I don't like banana bread, do I? I'd pretty much run out of food at this point, and it did smell awfully good. How bad could it be? So, I inched a little closer. I pinched off a corner. And. Oh. My. God. It was a divine revelation. I'd been missing out for years. 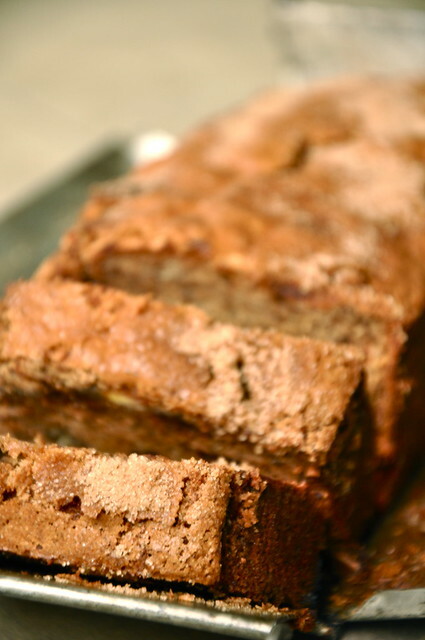 Banana bread is delicious! But of course, you knew that already, didn't you? 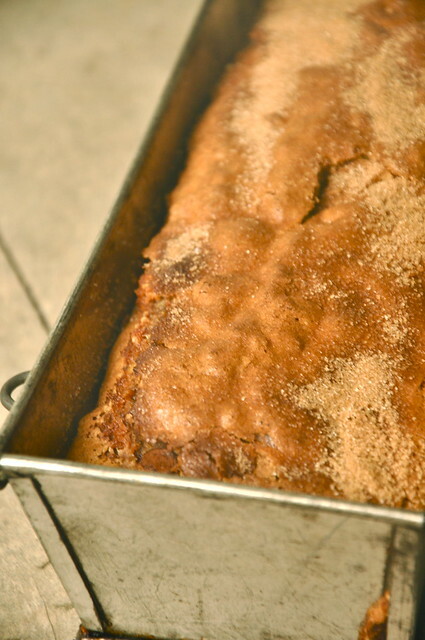 So, while I'm painfully behind the times, I'm sure you have your own recipe for banana bread. But let me implore you to try this one. Because it is really, really good. I mean, knock your socks off good. What have you got to lose? Preheat oven to 375. Grease a 9-inch loaf pan. In a medium bowl, whisk together flour, sugar, baking soda, cinnamon, and salt. In a separate bowl, mash bananas well until only small chunks remain. Add eggs one at a time and whisk to combine. Whisk in vanilla extract. Slowly stir in dry ingredients until just incorporated. Carefully fold in chocolate chips, but do not overmix. Pour batter into prepared loaf pan. Stir together sugar and cinnamon and sprinkle mixture over top of batter. Bake for 35-40 minutes until golden brown and a knife inserted into the center comes out clean. Let cool on a wire rack.